The firing came only hours after Range openly attacked the government, and Maas in particular, at a hastily convened press conference. He spoke of “intolerable interference” by politicians into the independence of the justice system because he had been compelled to drop the investigation of theNetzpolitik.org blog for treason charges. “To influence an investigation because its possible outcome does not appear politically opportune” is unacceptable, Range said. While the freedom of the press and of expression are of great value, he continued, “these freedoms do not apply without limit on the Internet. It does not exempt journalists from observing the law.” To watch over this was not the task of politicians, but of the justice system, he maintained. Such an attack by the most senior criminal prosecutor (Range) on the justice minister is unprecedented in the history of post-World War II Germany. The justice minister is the employer of the attorney general and is authorized to issue instructions to him. 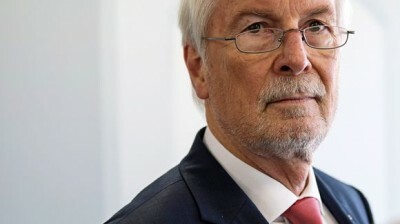 The investigation for treason directed against journalists from theNetzpolitik.org blog by the German attorney general has met fierce public opposition. In Berlin on Saturday, 3,000 people demonstrated against this attack on press freedom. In other cities such as Frankfurt, Munich, Cologne and Karlsruhe there were also protests against press intimidation. Many in the media have also criticized the actions of the secret service and the attorney general and sharp conflicts have broken out inside the state apparatus itself. It is increasingly clear that the intelligence services act as a state within the state, accountable to no one. The situation is reminiscent of the last years of the Weimar Republic in the early 1930s, when the security agencies and Reichswehr (Army) acted largely independently and contributed significantly to helping the semi-dictatorship of Papen and Schleicher to power, which was followed by the Nazis. From what is known so far, the attack on the Netzpolitik.org journalists was initiated by the president of the Federal Office for Protection of the Constitution (as the secret service is called), Hans-Georg Maassen. He had long complained that the intelligence community was being repeatedly criticized publicly over the neo-Nazi National Socialist Underground (NSU) and spying by the US National Security Agency (NSA). It is now known that the domestic secret service has been closely involved with the NSU, which is accused of committing 10 racist murders, two terrorist attacks and numerous bank robberies; and that the Foreign Intelligence Service (BND) is working closely with the NSA in spying on politicians, companies and broad sections of the population in Europe and Germany. To try and put a stop to the revelations and intimidate journalists, Maassen leveled charges in March against Netzpolitik.org for publishing two documents classified by the secret service. The charges were forwarded to the attorney general in Karlsruhe, who had the secret service confirm that the documents published involved “state secrets,” and who then opened a criminal investigation on May 13 on charges of treason against those responsible for the online blog. As became known last weekend, the government had known about the investigation for some time. According to Spiegel Online, the attorney general had informed the Justice Ministry on May 27 about launching the proceedings. The Justice Ministry confirmed this information, but claimed that Maas had subsequently made clear at all levels of the attorney general’s office that he considered such an approach to be “too tricky, too explosive and hopeless” (Spiegel Online ).The attorney general’s office reacted promptly and let it be known that there had not been any such clear opposition from the Justice Ministry at any time. The government could have prevented the investigation againstNetzpolitik.org from the outset, he said. But they evidently did not want to do so. They only responded when disclosure of the proceedings met with fierce protests. At a press conference on Monday, a journalist asked the spokesman for the justice minister why he had not used his authority to issue appropriate instructions if he did not agree with the approach of the attorney general’s office. An instruction from the Justice Ministry would have sufficed to stop the investigation into the journalists. As long as a state prosecutor was not behaving illegally, there was no room for an instruction, was the curt reply by the spokesman. The Interior Ministry responded similarly evasively. Its communication, said Minister Thomas de Maiziere (CDU), did not know about the proceedings in advance. Only his State Secretary Emily Haber and the department head involved had been informed by the secret service about the charges againstNetzpolitik.org. However, the talk had been of charges for the betrayal of official secrets and not state secrets. The Chancellery Office also said that German Chancellor Angela Merkel had only learned about the proceedings through the media. However, it was revealed on Friday that in the autumn of last year, Chancellery Minister Peter Altmaier (CDU) had complained to the chairman of the NSA Committee of Inquiry, Patrick Sensburg (CDU), that the secret service internal documents before the committee had been leaked and had threatened legal consequences. At that time, Netzpolitik.org had published the content of Altmaier’s letter to Sensburg. While many media outlets have criticized the attack on Netzpolitik.org, they oppose any weakening of the secret services, let alone their abolition. Rather, they demand that these and the attorney general’s office increasingly focus their attention on the machinations of the US intelligence agencies and more aggressively defend Germany’s national interests. The attacks by the secret service and the attorney general on the freedom of the press, which is largely being supported by the government, are inextricably linked to Germany’s return to a more aggressive foreign policy. Great power politics and militarism go hand in hand with the establishment of a police state and the suppression of all internal opposition. As always in German history, the secret services and the striving of the security apparatus to become a state within the state play an important role.